But before you can set them up the bomb, you have to build the bomb. And not really just one bomb. Oh no. Your opponents are making bombs, too, so you've gotta make a lot more than that. You might have the plans, but you also need the infrastructure to make them. 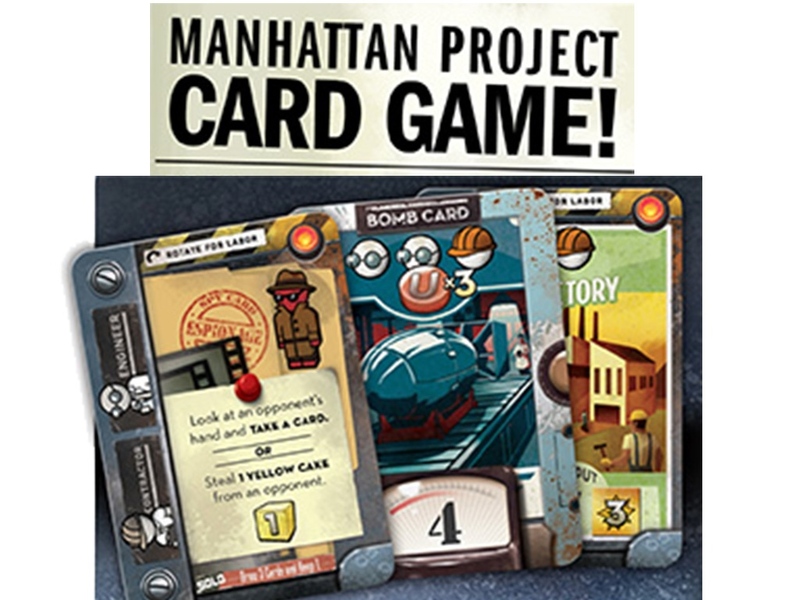 That's the place your put in in The Manhattan Project, a new card game by Minion Games that's up on Kickstarter. In the game, you play as the War Minister of a small country. You have the plans to create atomic bombs, but you don't have the infrastructure to do it yet. So you must train workers, scientists, and engineers in order to complete various components and tasks. Once a country has made 10 kilotons of bombs, that announces the final round, where everyone rushes to get as many bombs made as they can. Mr. President! We cannot allow a mine-shaft gap! The campaign is already more than 5x funded with still 21 days left to go.